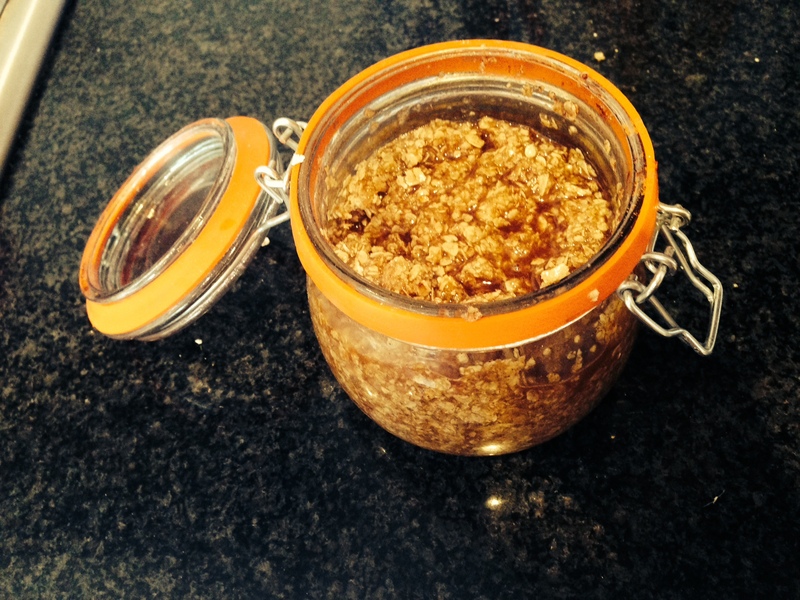 Here is another simple, quick, inexpensive and natural beauty treat for you! I absolutely love making my own beauty treatments whether it be a hair mask or a foot scrub, and my favourite ingredient to use is honey. I’ve raved about it before as it’s great for combination skin like I have due to it’s antibacterial properties. As I mentioned in previous posts, it was my sister in laws birthday last week and I made her a pamper package including the DIY handmade soap cupcakes and the DIY glitter dipped beer bottle vases. I decided to pop in a homemade hand scrub as I’d already given her some mini ones for Christmas and knew they were a hit! I went with a pumpkin pie recipe that I’d seen on the one and only Pinterest. There isn’t actually any pumpkin in it … sorry, but the combination of cinnamon and lemon makes a pumpkin pie smell that I think warrants the name! Oats, sugar, honey, lemon juice, cinnamon and oil. Quantity wise, as you know I don’t like to measure things! So I just made sure that it wasn’t too dry, it wasn’t too liquidy and it wasn’t too overpowering of any of the scents. 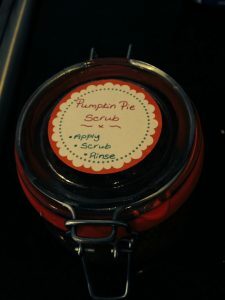 So there you have it, a quick, simple and scrummy homemade gift idea, perfect for a lady who loves to pamper! 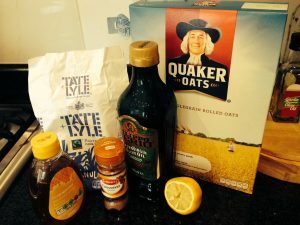 The lemon is great for tightening pores, the honey is a fantastic antibacterial ingredient and the sugar and oats will provide a fab exfoliant. 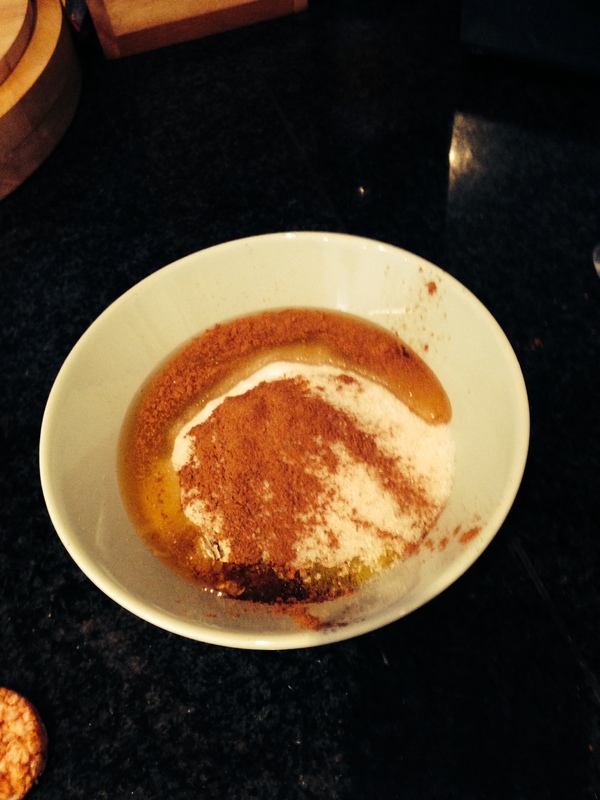 The oil is really good for moisturising and then the cinnamon, well, that just makes it smell nice and scrummy! I’d love to hear about some of your recipes for homemade scrubs!